Comic book fans around the world are clamoring to get their hands on the Agama Mwanzae, or flat-headed agama. 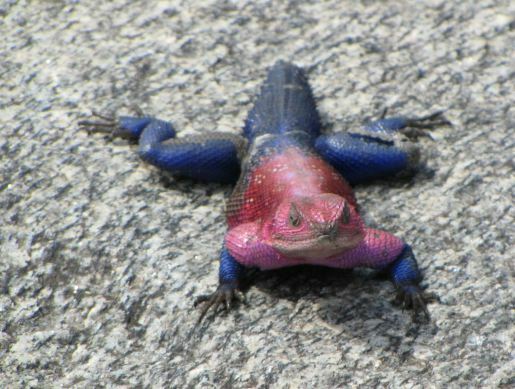 This lizard, originally from sub-Saharan Africa, is the latest hit in the pet world for one big reason: it looks like a lizard version of Spider-Man. You have to admit, it really does have a strong resemblance to a dragon version of the famous alter-ego of Peter Parker. As exotic pets go, lizards are pretty commonplace. I know several people who have had, or do currently have, scaly critters in terrariums. However, I’m not crazy about fad pets in general, but especially creatures with fairly long life-spans like the agama. Pets are living things, and a lot of people will end up just dumping these lizards in fields or pawning them off on friends once the novelty of having Spider-Lizard wears off.